Updates | Medical Packaging Inc.
Medical Packaging Inc. (MPI) has added a new die cut optional feature to the FD-Pharma™ liquid unit dose packaging and labeling solution. The external device trims the lidding to the perimeter of the cup leaving one tabbed section. The feature is available for 7mL, 15mL, 25mL and 35mL cups and produces a high quality, uniform product quickly and efficiently. The customization is achieved with no effect to the print quality of information on the labels and meets the requirements set forth by USP for moisture permeation and light transmission. Benefits include an integrated design, an optimal seal and an ideal tool to add a professional die cut labeling capability to liquid unit dose cup packaging. Please contact us to learn more about our die cut feature now available and MPI’s liquid unit dose packaging solutions. U.S. News & World Report released their 2018-19 Best Hospitals rankings. Nearly 5,000 hospitals nationwide were evaluated based on analysis gathered on performance in adult and pediatric clinical specialties, procedures and conditions. Only 20 hospitals performed the best to make the Honor Roll. About 60% of the Top 20 hospitals are Medical Packaging Inc. (MPI) customers and many are repeat customers with more than one MPI packaging solution being utilized in their facility. The rankings for the Honor Roll consider 16 areas of complex specialty care and 9 specific procedure and conditions such as heart bypass and lung cancer surgery. Hospitals receive points for both the specialty rankings and procedure and condition ratings to make the Honor Roll, which has a maximum total of 480 points. The higher their rank in specialties and if they earn a “high performing” in the ratings, the more points they acquired. The annual U.S. News Best Hospitals rankings acknowledges hospitals for outstanding performance in delivering complex and common care. Please click here to view the complete list of recognized hospitals and the methodology used in the rankings. In the article entitled “Develop an Effective Unit Dose Packaging Strategy” published in Pharmacy Purchasing & Products, Mark T. Edgerly, RPh, director of pharmacy at Elmira Psychiatric Center in New York, discusses their unit dose repackaging strategy, which utilizes MPI’s Auto-Print® and Fluidose® unit dose packaging systems. The importance of bar coding, a vendor’s customer service department and staff training were factors in determining their approach. Learn more about their method and benefits realized with the facility’s repackaging strategy. When it comes to neonates and pediatric patients, one size does not fit all. Dosing is typically based upon the patient’s weight and, to a lesser extent, age and/or body surface area. To manage these various dosage requirements, doses are custom tailored and subsequently prepared manually for each patient. This individual repackaging of oral liquid medications tends to be a time-intensive process. For Enrico Ligniti, Pharm.D., Director, Pediatric Pharmacy Service Line for Cohen Children’s Medical Center in Queens, New York, utilizing the Auto-Draw® and AutoWrap® Oral Syringe Filling Labeling System to batch-fill weight-range–based doses seemed like a potential opportunity for increasing efficiency and improving safety in his pediatric pharmacy. Click here to review the case study. Medical Packaging Inc. (MPI) is pleased to announce a new 7mL unit dose cup for use in the Fluidose® Series liquid packaging systems. 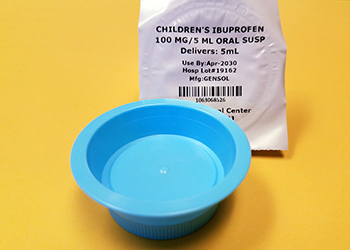 This cup remains easy to open and allows for plenty of room for printed medication and barcode information. The reduction in size reduces headspace lessening the effects of oxidation, improving the stability of repackaged drugs. The new cup supports any fill up to 7mL and is an addition to MPI’s existing 15, 25, and 35mL cup line. It’s available in all standard colors and compatible with all existing Fluidose® Series liquid packaging systems. January 19, 2017 — To streamline pharmacy operations for customers who use products from both companies, Pak-Edge™ UD software by Medical Packaging Inc. (MPI) can now print your Medi-Dose® Lid-Label® Covers. This enables you to use the same software to package a medication with MPI’s Auto-Print® packaging solution or with Medi-Dose’s manual system, depending on which best suits your medication needs. Medical Packaging Inc. (MPI) is a leading global manufacturer of automated unit-dose medication and pharmaceutical packaging and labeling systems, equipment, barcode labeling software, and MPI-certified consumables. Medi-Dose/EPS have been unit dose, bar coding, pharmacy and nursing supply experts for over 40 years. The Medi-Dose System is used in pharmacies around the world to safely package and identify unit dose medications. On November 15, 2016, Medical Packaging Inc. (MPI) was awarded a Skills Partnership Training Grant from the State of New Jersey Department of Labor and Workforce Development. The Skills Partnership Training Grant funds are competitively awarded to New Jersey employers to provide up to 50% cost reimbursement assistance to train current and/or new employees to meet the current and future skill requirements of high skilled/high wage jobs in New Jersey. Medical Packaging Inc. will use the funds to broaden the reach of the current training budget and continue to develop a strong employee team here in New Jersey. This grant will provide MPI the opportunity for continued development of MPI’s employees focusing on learning additional or alternate ways to improve our business to better satisfy our customers. Medical Packaging Inc. (MPI)’s serialization feature is available through its latest 2016 release of its exclusive Pak-EDGE™ UD Barcode Labeling Software and will work with most MPI pharmacy packaging solutions produced since 2009. 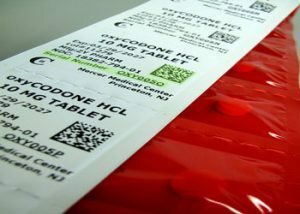 This feature provides customers with the ability to print individual packages with a unique serial number and barcode in compliance with the Drug Supply Chain Security Act (DSCSA). Currently in use internationally and in pharmaceutical repackaging centers this feature is available for any US customer working towards implementation. Contact MPI today to find out how you can benefit from the use of the serialization and traceability feature. Medical Packaging Inc. (MPI) is proud to announce the launch of our brand-new website, which is the result of a close collaboration between our company and Textivia, Inc. of Raleigh, NC, our online marketing partner. We approached Textivia with the goals of updating our site’s visual design and functionality while also showcasing our products, services, and philosophies. Our new website features cutting-edge mobile-responsive functionality to ensure a seamless browsing experience between platforms—from smartphones to tablets, PCs, and beyond. The new website is also far easier to update and manage, helping us keep our customers informed of our latest products and services. “We are focused on delivering an exceptional customer experience, and this new website launch speaks to our commitment to providing a more valuable and simplified online environment for our current and future customers,” says MPI President and CEO Andrew Bartels. We are also continuing the development of our new “customer portal,” which will offer a clean, straightforward, and highly-intuitive interface featuring new self-service capabilities. We hope you will explore our new website, found at www.medpak.com, to learn more about our company, our products, and our services. If you would like more information about our company, our medication packaging and labeling machines and MPI-certified consumable materials, and the custom solutions we provide, click below to contact us today. Established in 1971, Medical Packaging Inc. (MPI) is a trusted manufacturer of pharmaceutical packaging and labeling systems, pharmacy packaging systems, medication and medicine packaging and labeling machines, unit-dose and pill packaging and labeling materials, syringe filling and labeling machines, and much more for customers in a range of markets throughout the world. Copyright © 2016 Medical Packaging Inc. | All Rights Reserved.